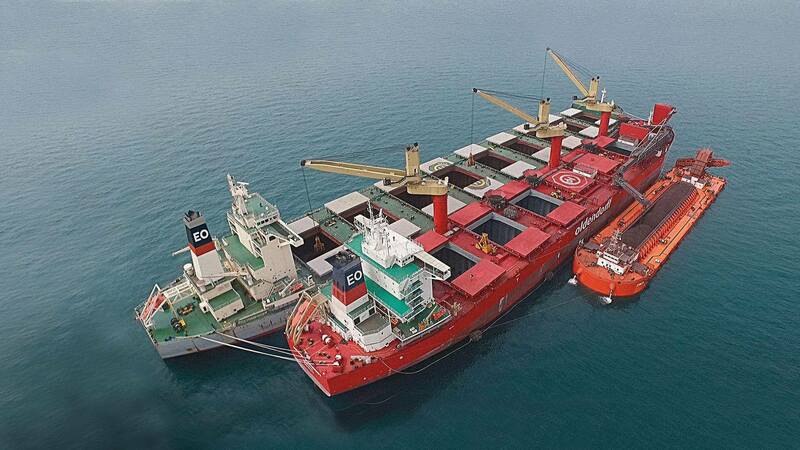 Since we initiated our first transshipment project in Turkey in 2001, this division has come a long way. We have invested about US$ 400 million in the segment and now run seven projects, employing about 900 people. 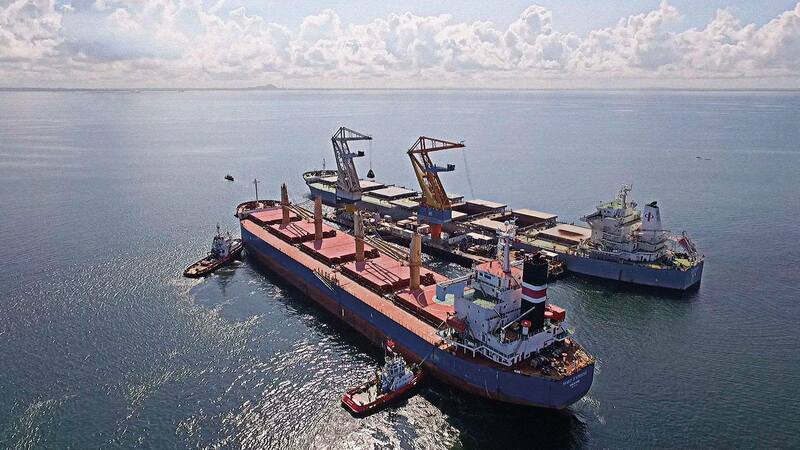 More than 150 million mt have been transshipped by OLDENDORFF CARRIERS thus far. Our current annual volume of 30 mtpa sets us apart from our competitors. We offer bespoke logistics solutions that result in substantial freight savings. Insufficient port facilities or a shallow draft do not mean that you have to use small ships with poor economics. We can transship your cargoes from or onto larger vessels, giving you a lower freight rate per ton on long-haul trades. 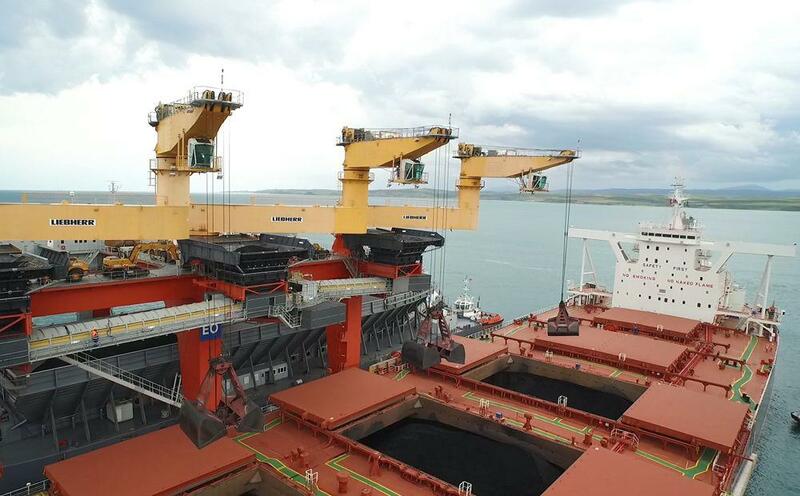 In some cases, transshipment solutions can also increase throughput or actually make a commodity competitive in the first place. 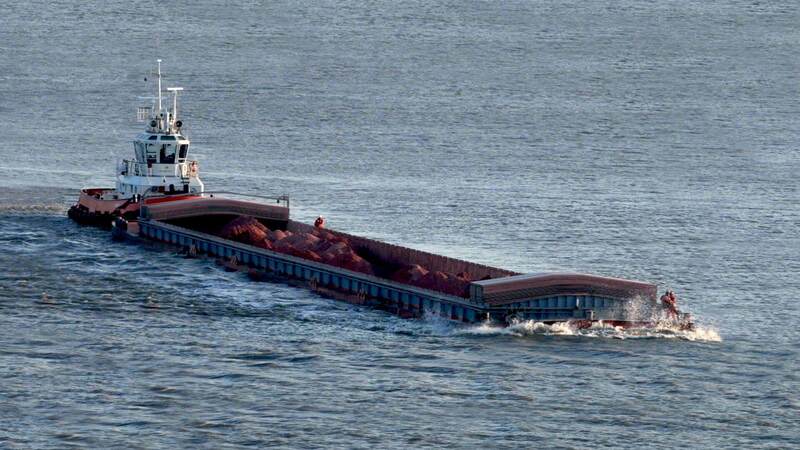 We arrange the ocean transportation as well as the transshipment in a safe, cost-effective and environmentally friendly manner. We assume full responsibility for the entire package. Our task is to assist clients in achieving their goals by designing, building and operating an efficient system. Our dedicated team consists of material handling experts, naval architects, engineers and captains. Let us develop a tailor-made solution for your project. We transship around 12 mtpa in the Arabian Gulf with four transloading vessels, four barges and two tugs. The first project started in 2007. 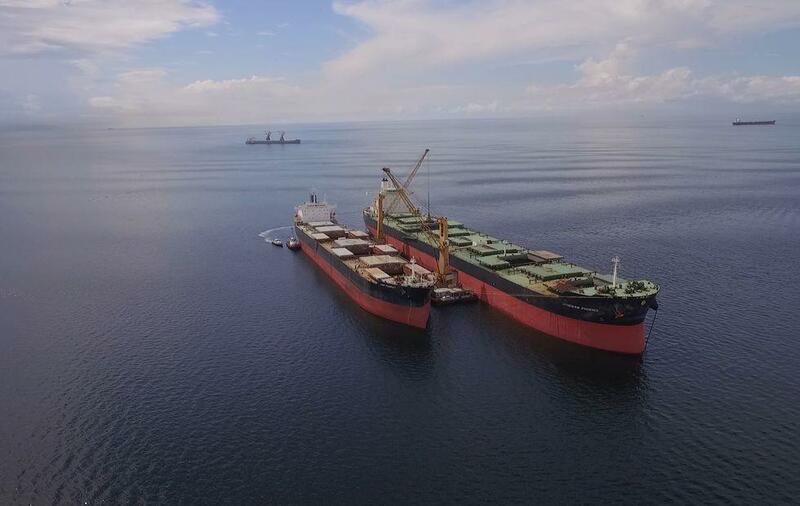 In the Gulf of Iskenderun, two miles off the coast in deep water, we operate the world’s most productive floating coal transshipment terminal. 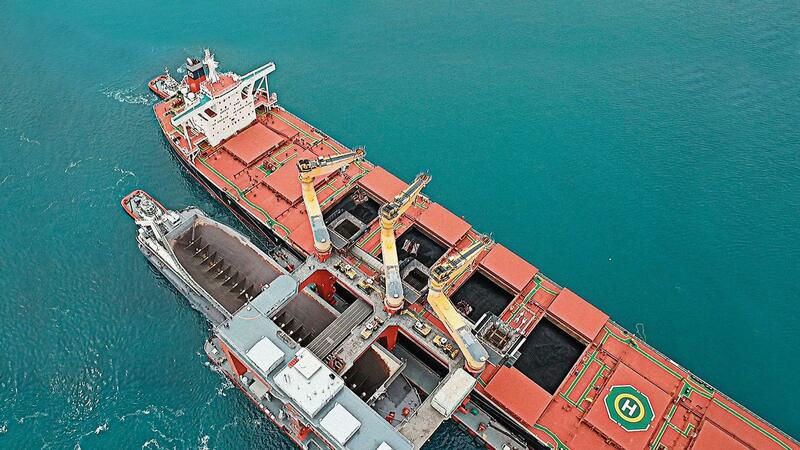 In Trinidad, we established a multi-user, multi-commodity transshipment hub in 2012, handling iron ore, coal, bauxite and other cargoes. In 2005, we signed a long-term contract with a large industrial client for a bauxite transshipment operation on the Berbice River in Guyana. We are always looking for qualified people for our transshipment projects. If you are interested in working for one of our transshipment projects at Oldendorff Carriers then please visit our transshipment careers page to find out more. around 600 vessels at any one time.